Choose the card that fits your lifestyle. Our cards provide increased spending power and worldwide purchasing convenience. Find the card that best suits your lifestyle. Click on a card below to see details on its features. You can also compare a card versus another by selecting the card and then clicking on the "Compare Selected Cards" button. Live ahead. You deserve it. 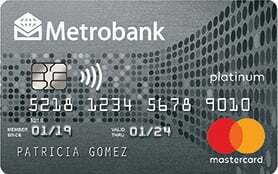 The Metrobank Peso Platinum Mastercard offers access to a wide-range of world-class privileges. It offers and exclusive 24/7 VIP Customer Service hotline, Concierge Service, as well as other rewards and perks. Go where few other cards can take you. 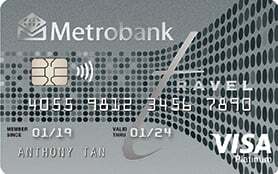 The Metrobank World Mastercard welcomes you to unequalled privilege and luxury. It offers a credit limit that nearly sets no borders giving you the benefit of additional purchasing power whenever you need it. 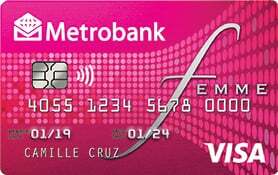 Our first complete travel card that lets you earn 1 mile for every P17 spent overseas and on airlines and hotels, unlimited airport lounge access, free travel insurance up to P5 million coverage, and exclusive travel offers. You’ve got to own it. The most rewarding card experience for women, enjoy triple rewards for hotel accommodations, hospitals bills, salons, and spas and the 24-hour VIP concierge service reserved for only the very best. 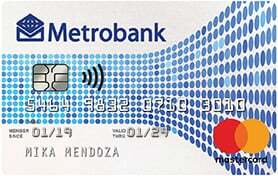 The Metrobank ON Internet Mastercard is the credit card for all your internet transactions. 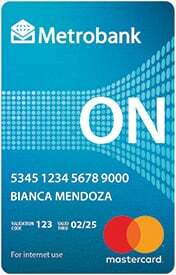 This card enables you to shop more securely online. It is designed for non face-to-face transactions, giving you greater security and peace of mind. More power, more options for US Dollar transactions. 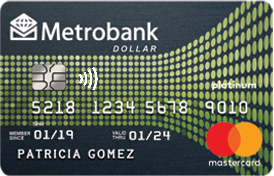 The Metrobank Dollar Mastercard is the only card you need for your US dollar transactions. Enjoy greater convenience and ease when transacting in US Dollars. 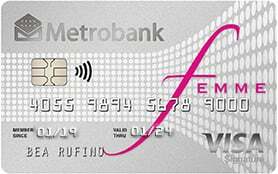 The Metrobank Femme Visa welcomes you to a world of beauty, wellness and shopping privileges. Experience the perks and privileges you deserve with Metrobank Femme Visa. 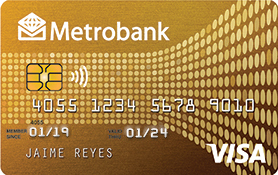 The Metrobank Classic Mastercard or Metrobank Classic Visa provides you with all the perks, pleasures and privileges of the metro. Now you’re free to enjoy the pleasures and privileges of the metro! 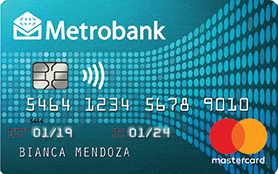 With your Metrobank M Free Mastercard, you can enjoy the benefits of using a credit card without the need of paying the annual fees. 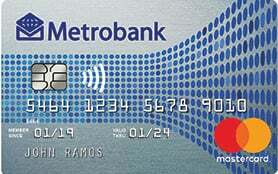 The Metrobank M Lite Mastercard is the best credit card for the savvy spender aiming for better finance management. 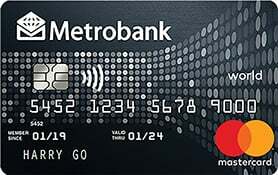 With your Metrobank Gold Visa or Metrobank Gold Mastercard, there’s virtually no end to the shopping, dining and recreational privileges that are now open for you and your loved ones to explore. 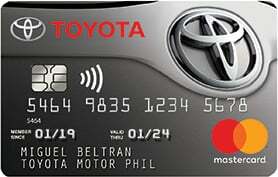 The Toyota Mastercard is the first complete motorist card in the country. It offers convenience to Toyota customers, dealership benefits, rebates with a fuel partner and other privileges. You only need one card to complete your shopping experience. 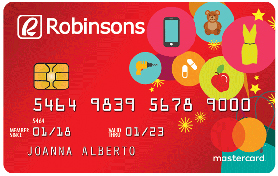 The Robinsons Mastercard gives you Shopping Points, rewards, rebates and discounts to complete your shopping experience. Help light the path towards total healing for women with breast cancer. 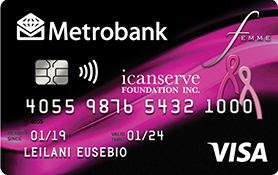 The Metrobank Femme-ICanServe Visa lets you donate to ICanServe Foundation Inc. in support of their programs that provide hope and help to women at risk for or living with breast cancer. One simple card that takes care of your needs and helps you manage your expenses. 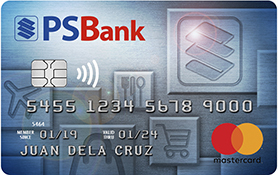 The PSBank Credit Mastercard gives you benefits of using a credit card without the need to pay the annual fee for life. 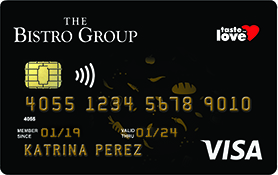 Explore all endless possibilities of life with The Bistro Group Visa. Kaya ba ng powers mo? 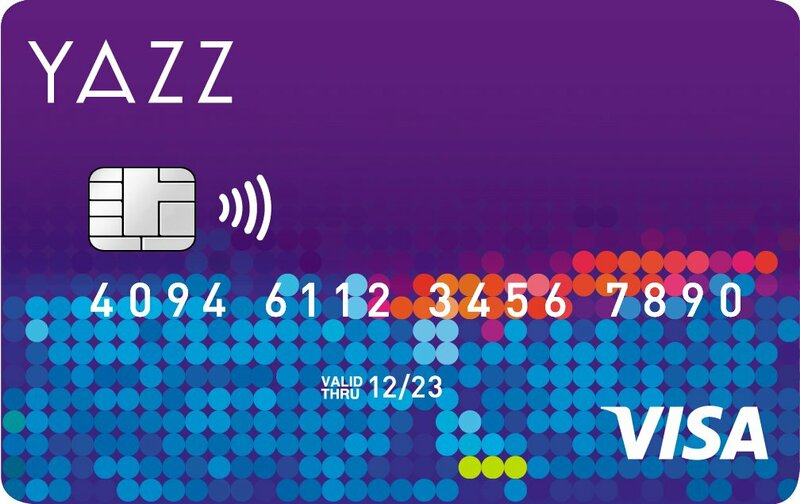 The YAZZ Reloadable Prepaid VISA Card is a general purpose card that can be used to shop at accredited VISA establishments worldwide including internet transactions. It also offers 24/7 Cash Access via accredited ATMS. The YAZZ Reloadable VISA Card is available in all CD-R King, Family Mart, National Bookstore, Robinsons Department Store and at the SM Store, SM Hypermarket, SM Supermarket and SM Savemore.